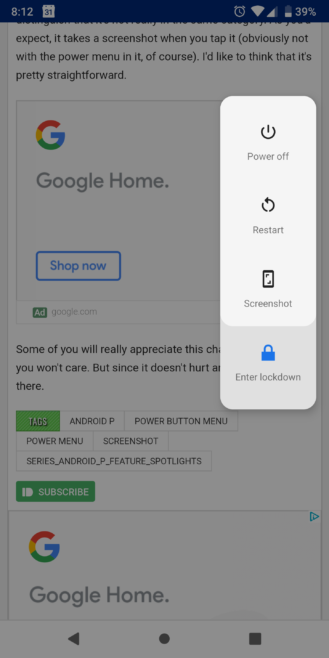 It turns out that the screenshot button isn't the only new button in the power menu. In 'Lock screen preferences,' there's now a toggle called 'Show lockdown option' that brings a fourth button called 'Enter lockdown' to the menu. It's said to disable fingerprint unlocking and something called extended access, though we're not entirely sure what that is. 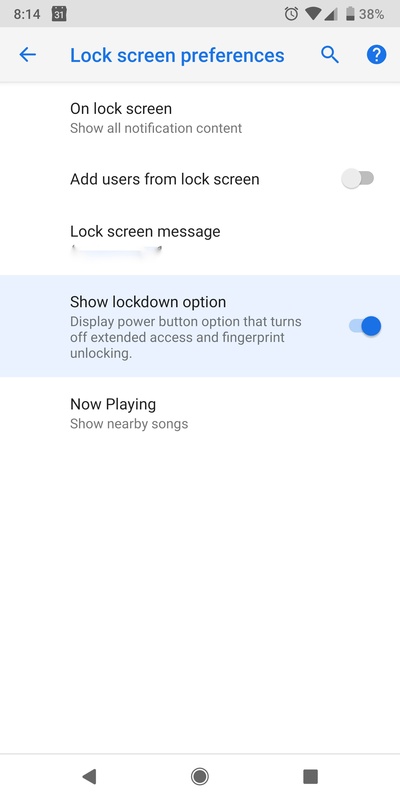 The lockdown option consists of a blue lock icon located at the bottom of the power menu. According to its description, the toggle is supposed to "Display power button option that turns off extended access and fingerprint unlocking." We know that fingerprints won't be accepted as sign-in methods when this option is enabled, but we can't tell what extended access is referring to. That text is the only instance of any mention of it in settings, and we're not familiar with that phrase in reference to any Android feature. 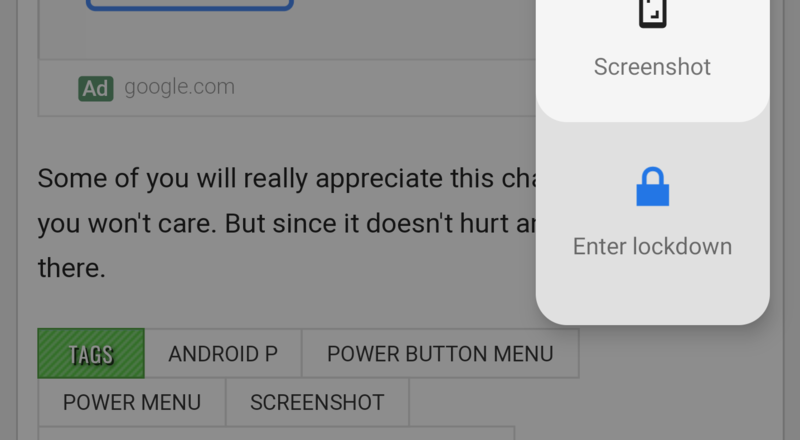 It's possible that extended access is simply some feature that Google hasn't finished implementing in Android P. But if you think you know what extended access is, let us know. As many of you suggested, extended access does seem to be referring to things like Smart Lock, Voice Match, etc. Scott tested this out on his Pixel 2 XL with Android P, and he noticed that lockdown is basically only functional for one unlock, after which you have to re-enable it to work again.